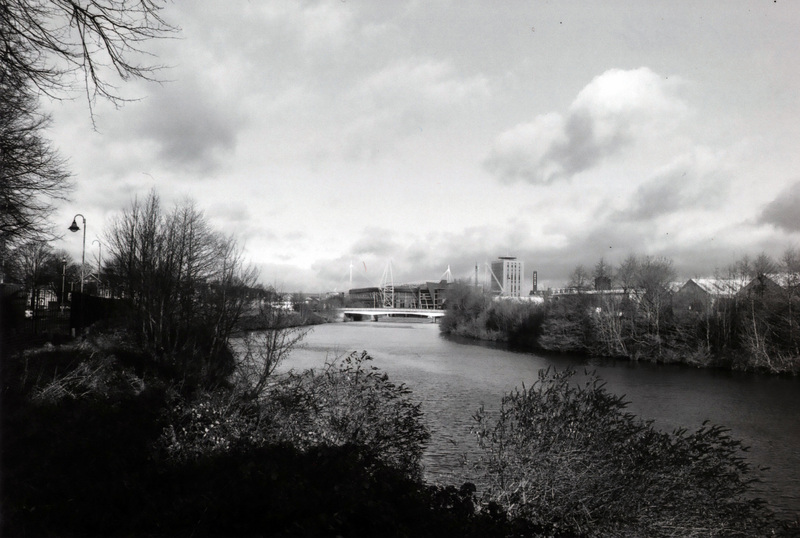 The River Taff that flows through Cardiff, where I live in Wales. This was taken on my walk to work, I park my car about a minutes walk from this spot. In the centre of the shot is the bridge I cross every day and behind that the national stadium the “Millennium Stadium”. There’s something easily picturesque about rivers, the way they cut through the centre of an image forcing your eye to follow it, like a road but more forceful as it is usually nothing but empty space, and I have always loved the way that the foliage on either side effortlessly frames the shot. This is one of my favourite images I have ever taken, especially since although it was a bright day the sky hasn’t been so exposed that you can’t make out the clouds but still gives a huge contrast to the dark area of shadow at the bottom where the trees and bushes line the riverbank. Perhaps what I like most is that everything is pin sharp, which is likely down to the narrow aperture I had to use since it was such a bright day (not that I can remember for the life of me the f stop I used). This was taken on my trusty Nikon FM with it’s 28mm lens and on Ilford FP4 ISO 125 black & white film.